Golden Mushroom | Molina & Sons (PHILS.) 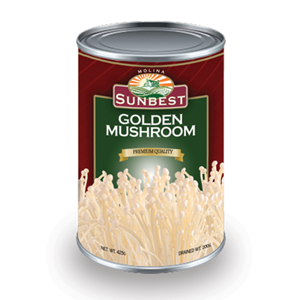 Inc.
Golden mushroom is also known as Golden Needle Mushroom. It is with firm, white, shiny caps with a crisp texture. It is good in salad, used to garnish soups & other hot dishes. When used in cooking, they should be added at the last minute, as heat tends to make them tough.